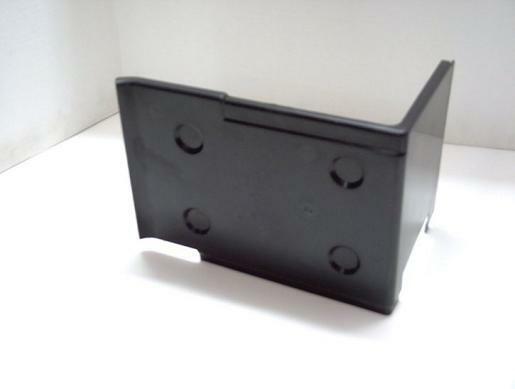 Ford battery heat shields are identified by basic part number 10A682. 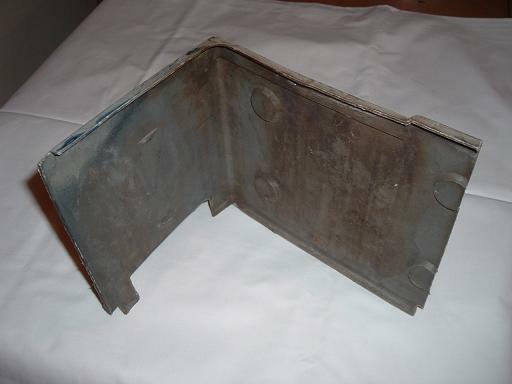 Though primarily used on cars equipped with air conditioning to protect the battery from engine heat, shields were used on Mustangs equipped with a 428 CJ or SCJ engine even if the car wasn't equipped with a/c. 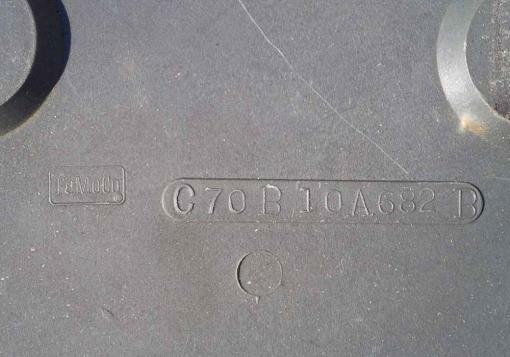 Other applications: the C7OB shield was also used on 1968 and 1969 Fairlanes and Torinos (351 and 390 with air conditioning or 428) and 1968 and 1969 non-428 Mustangs (351 and 390 with air conditioning). The D0OB shield was also used on 1970 and 1971 Torinos and Fairlanes, and Falcons assembled after January 1970. 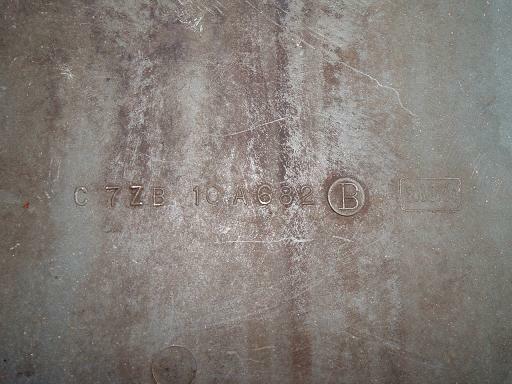 Lincoln-Mercury applications for the C7OB shield include 1968 and 1969 Comet, Montego, and Cougar (390 with air conditioning). The 1975 edition of the Lincoln-Mercury Master Parts Catalog doesn't include the 428 engine in 1968 or 1969, but I suspect that's an error of omission. 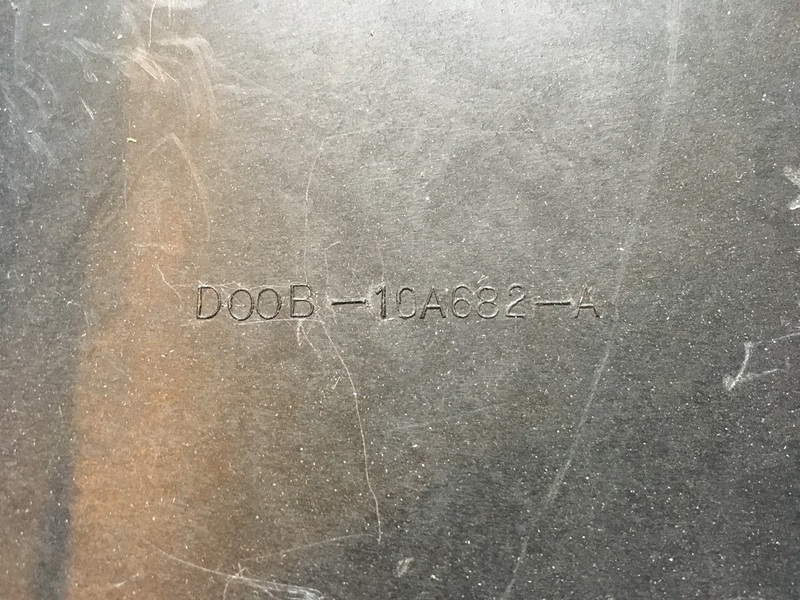 The D0OB shield was also used on 1970 and 1971 Comet, Montego, and Cougar (351, 428, and 429 with air conditioning) and 1972 Cougar with air conditioning. When used on 428 CJ Mustangs and Cougars, the C7OB shield was trimmed along the bottom edge of the short side and approximately 2" was removed from the long edge for better fit in the engine compartment. Picture courtesy of John Spencer. The C7OB shield appears commonly in both light gray and dark gray plastic, but the D0OB shield seems to have been only available in dark gray. Some obvious differences in the two shields can be seen when looking at the top of the long side: there's a "step" on the trailing edge of the C7OB shield that doesn't exist on the D0OB shield. 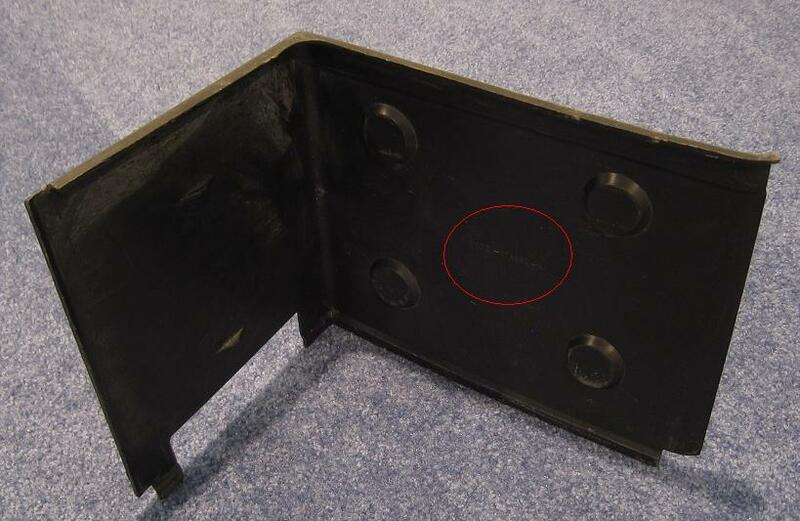 An indentation that runs along the entire top edge of the D0OB shield stops at the step on the C7OB shield. The uncut C7OB shield is approximately 2" longer on the long side. Part numbers can be found on the inside face of the long edge of the shield; the areas are circled in red in the pictures below. 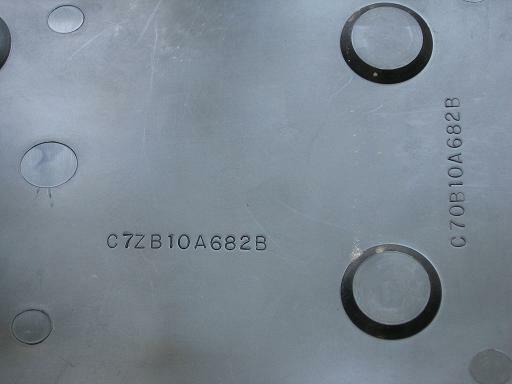 There is a "FoMoCo" logo next to each part number on the C7OB shield. There are no Ford logos on the D0OB shield. Picture courtesy of Peter Manson. 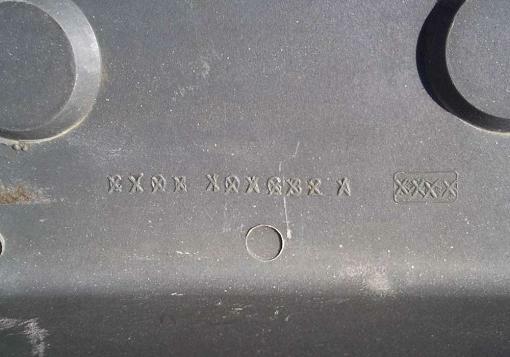 Three different part numbers can be seen on an original C7OB shield: the C7OB10A682B engineering number, an older C7OB10A682A engineering number that's obliterated with Xs (and likely corresponds to the original C7OZ-10A682-A service part number), and C7ZB10A682B. The C7ZB10A682B number is a bit of a mystery because it doesn't appear in any of our references. Reproductions of the C7OB-B and D0OB-A shields are currently available. 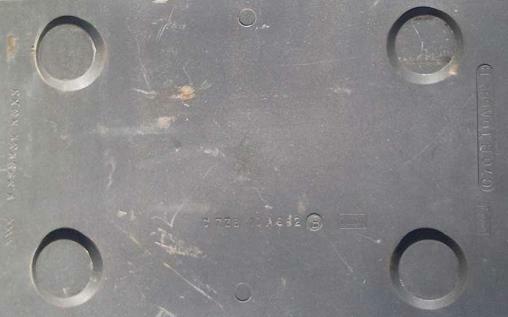 Note that there are no Ford logos on the reproduction C7OB-B shield and the part numbers are molded differently than the original. 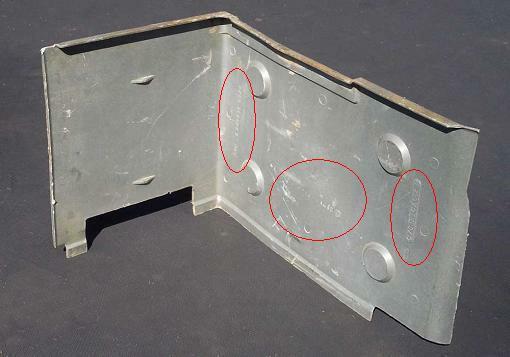 The shield is marked C7OB10A682B and C7ZB10A682B, but it's not marked with the obliterated C7OB10A682A engineering number. The reproduction of the D0OB shield appears to have some very minor differences when compared to an original part. The font used for the engineering number is very slightly different - look at the "1" and "2" in particular. In the second set of pictures you can see a mold mark on the inside curved edge of the original part that doesn't appear on the reproduction. Neither of these details can be seen when the part is installed.